Anyone who attends church regularly will know, church chairs are an integral part. But, there is more to chairs than just having a place to sit during the service. Most members of a congregation appreciate having a comfortable seat where they can relax and fully enjoy the service. When browsing church chairs for sale, there are a few things that you should consider before making your purchase. 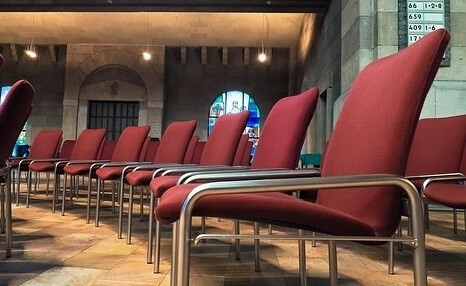 Here are five important criteria that should be taken into account prior to purchasing new church chairs for your congregation. There is no such thing as a one size fits all. Members of your congregation comes in various shapes and sizes; therefore, it is important to find a chair that is going to be the most accommodating for your congregations needs. Finding a chair that will fit everyone, while still being comfortable will make everyone feel welcome at your church. While some might not even consider this as an important aspect when considering church chairs, it is important! Picking fabric that is comfortable, even during the hot sweltering months of summer, will be noticed and appreciated by everyone in your congregation. To increase comfort for those who will be sitting on the chairs for prolonged periods of time, pick a fabric that is also durable and will withstand the rigors of daily use. When selecting chairs, it is important to consider the style of chair that would best match the current décor of your church. If your church has an old style, with beautiful stained-glass windows, adding modern chairs might clash with the style already there. On the other hand, if you are looking to modernize, and give your church a new look, adding chairs that are covered in a bright color, could help to bring new life into your building. Frame Material. Are you looking for chairs that have a wood frame or metal? What about foldable and stackable, or not? If you are planning on your space serving multiple purposes, then it would be in your best interest to invest in foldable and stackable chairs. It is important to find chairs that are going to work within the space for which they are intended. When ordering mass quantities of chairs, the price can add up quickly! Make sure that the chairs you are considering purchasing are affordable and fit within the pre-established budget your church has allocated for new church chairs. 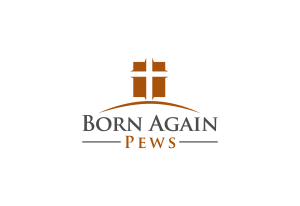 Finding affordable church chairs for sale that look great and will last, is easy with Born Again Pews! We specialize in helping churches find the right furniture to meet their needs, while being durable and long lasting! Contact us today to get your new church chairs, and impress your congregation with the care and attention that went into selecting your new seating.